Custom Permalinks gives you ultimate control over your site structure. Use this plugin to customize URLS of any post , page , tag or category. 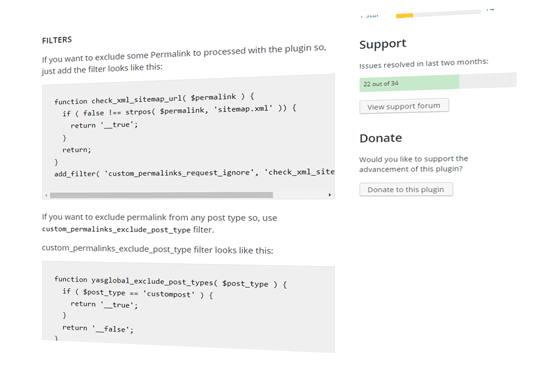 This plugin can assign custom links for individual posts, pages,tags or categories instead of applying whole permalink structures. Infact , it won't even apply a category's custom permalink to the posts within that category , So you have ultimate control now! 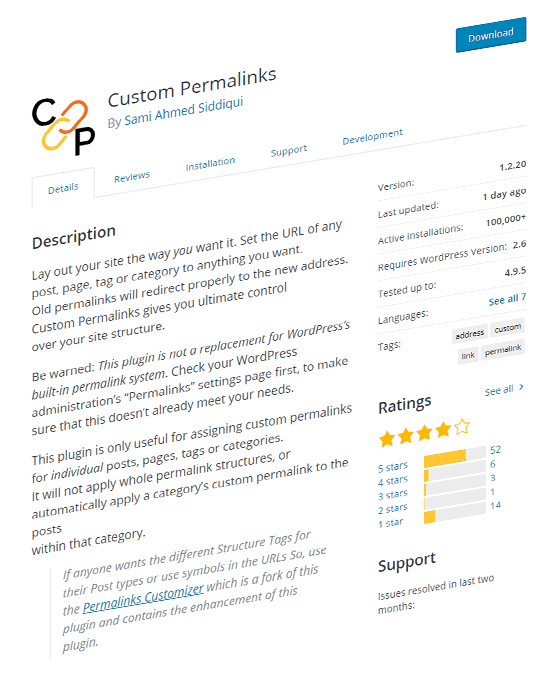 Custom Permalinks helps creating links in an easy way and saves your time. Custom Permalinks supports categories, tags & custom taxonomies. We offer support to all Custom Permalinks users! Browse and post in our ever growing community forum or contact our friendly support team.  Custom Permalinks is available in two versions : FREE and PROFESSIONAL! Use Free Custom Permalinks to avail all basic awesome features mentioned. 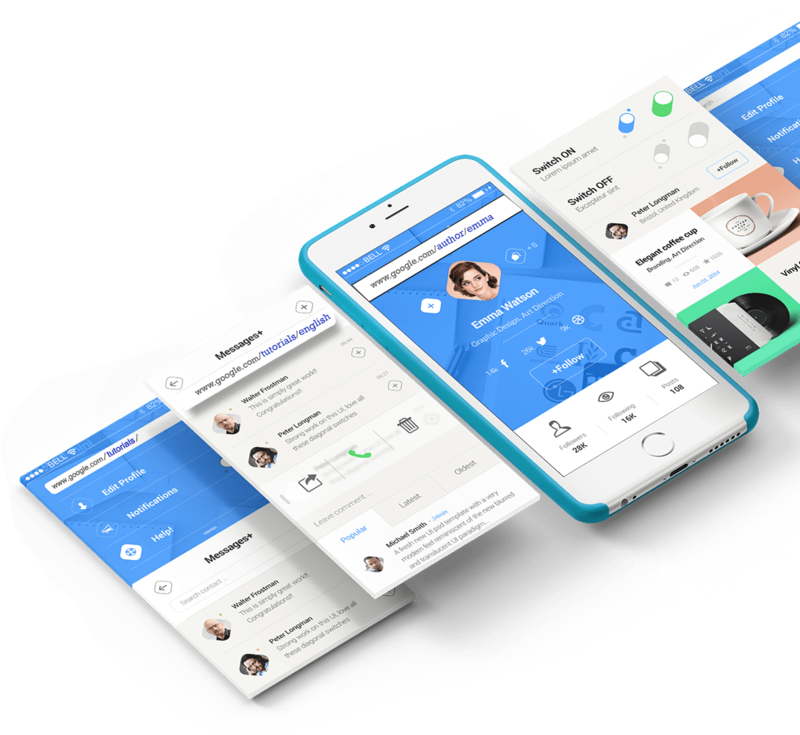 However , if you want to make use of the added pro features and make your customizations even simpler , then the PRO version is just the right choice for you. © 2017 - 2019 Custom Permalinks. All Rights Reserved.